So I have recently been looking into beauty subscription boxes and this month I tried Birchbox. After a bit of research it seemed the best "beauty box" in the UK, is Birchbox. I received my box Monday afternoon and I couldn't rip open the packaging quick enough. This months box is in collaboration with HABITAT and it came in a colourful box with blue crepe paper, which I thought was a lovely touch. I am very passionate about packaging, I think it's really important in beauty to have a lovely clean and high quality finish in the packaging of a product and Birchbox is really no exception. I received 7 products this month & here's what I thought of them - enjoy. 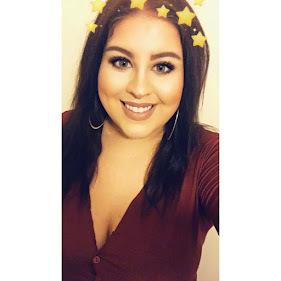 Benefit Roller Lash Mascara (RRP £19.50) - I am absolutely loving this mascara when I put it on my lashes I fell in love, but when I showed it off to my friends on my lashes they weren't that bothered about it. The mascara has a VERY similar finish to YouUnique Fibre Lashes. Since YouUnique fibre lashes the full volume, thick lashes look has become easily achievable, so my best friend, who uses fibre lashes, wasn't as crazy about it as I was. I actually love this mascara, I'm super lazy with makeup and I don't like in everyday makeup routines to take an hour doing my face. This mascara's best asset is that the thick, long and voluminous lashes you desire takes 30 seconds instead of the 5 minutes and 2 tubes YouUnique requires. Catherine Malandrino Style de Paris Perfume (RRP £60 50ml) - This is my favourite scent in the world! I got the sample and thought it's just going to be another basic perfume, how wrong was I? The scent is very sensual and I would use it as a night time perfume. It's one of those perfumes that take about 3 minutes to get the proper scent out of it, but when you do it's absolutely beautiful. I have put this perfume on my birthday wish list, it is a little expensive but SO worth it. It's so long wearing I can still smell it at the end of a busy day and my fiance absolutely loves it, in my opinion it's worth every single penny. Phillip Kingsley Elasticizer (RRP £27.50) - Tried this out twice now and it's really nothing special, if anything my hair has been much frizzier than normal. I don't really get what it's supposed to do, but whatever it is, it isn't working on my hair. Janjira Argan Oil Shower Scrub (RRP £22) - I have only used this once and my skin did feel softer when I woke up in the morning. It smells like head lice lotion in the bottle but to my surprise smelt lovely on my skin. It's a very fancy concoction of Argan Oil and Walnut Shell Powder that has hydrated my skin and made it silky soft. Lord & Berry Couture Kohl Kajal Eye Pencil (RRP £10) - Very high pigmented and glides on easily. It's very long wearing and is great for a smokey eye finish. Personally I wouldn't pay £10 for a full size pencil, because I think there's a lot of great eye pencils on the high street that do the same job for a fraction of the price. A Perfect Heritage (RRP £7.99) - This is a chapter extract from the book that I haven't read yet. I've read the blurb and as far as I can tell it's about a woman in New York who works in beauty. 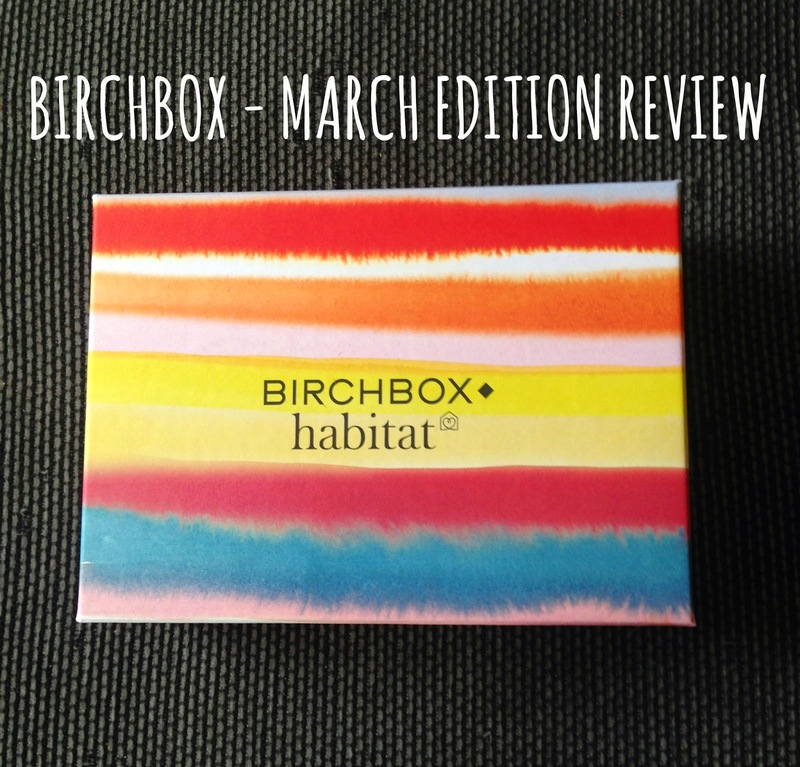 Birchbox & Habitat Exclusive Notebook - This isn't big enough for me to use for work related things, but great for my weekly shopping list and bill calculations, lovely to have inside your handbag. Oh my goodness, that box is so cute! I receive Birchbox as well, but I live in the US, so I suppose the boxes are different. It looks like you got a lot of great products! Spring Fashion: Trends You Will LOVE. 5 Blogs Every Blogger Needs To Read - Right Now!